Following the Bejing Olympics 2008 I am determined to strongly make steps to improve BJC Judo. I believe the BJC is now the most important, and potentially, the most effective organisation in the UK to make a difference to our National judo ability. With this purpose in mind in 2009 upon my retirement from work I am turning my attention to a greater involvement and effectiveness of the National Technical Committee and the BJC Technical Centre. My priority is to establish, a new BJC Syllabus, new Contest rules for Grading and new Refereeing awareness of Grading rules. All these will be done in the context of FPJ Coaching and the ‘BJC Judo’ statement below established at the Technical Seminar 2008. 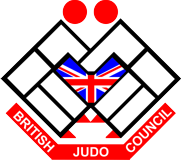 ‘BJC Judo’ is a concept of, pure, clean, judo with Jigoro Kano’s principle of minimum effort and maximum efficiency. Is not about ‘quick fixes’ or easy results. Success is not measured in the number of wins you achieve, but the way in which, you as a person, strive for excellence and improve yourself and your judo throughout your whole life. We strive for excellence by demonstrating total control, pure, clean judo and a desire for the most effective use of our energy. Manners, Integrity, Humility and discipline are all worthy attributes of a BJC Judoka. The BJC has many good caring teachers and coaches, already committed to these ideals and I consider it my job to make our organisation collectively effective within the next few years.